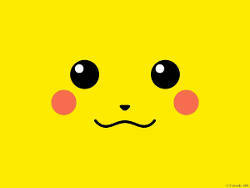 Pikachu Injector injects a lovable, happy pikachu face into the background css atttribute of any DOM Element that has a class of "pikachu-injector-background". Include the script, add the class 'pikachu-injector-background' somewhere and pikachu will be injected when the 'DOMContentLoaded' event fires. You can also customize the link and the CSS class that is targeted. The options method on the global _pikachuInjector object is chainable, and the update command will immediately cause a pikachu repaint.